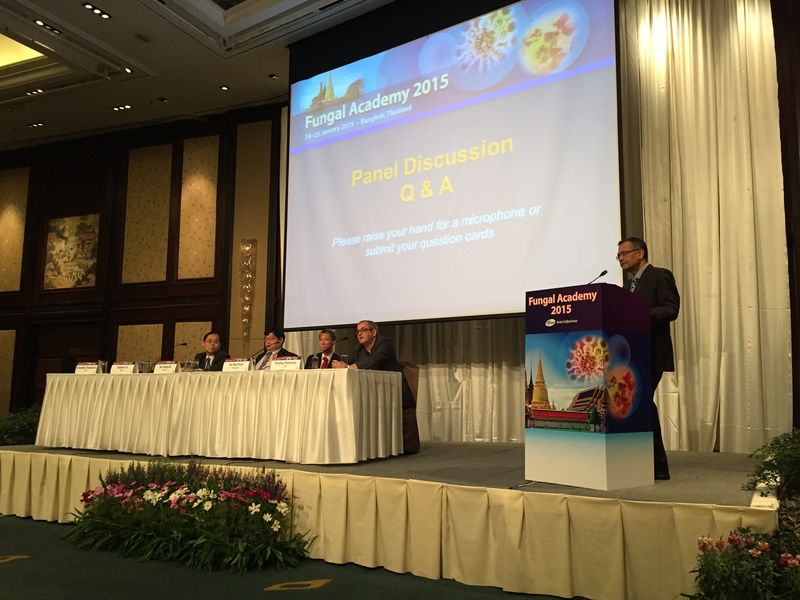 The Fungal Academy was held in Bangkok, Thailand, from January 24-25, 2015 to discuss the latest developments in the diagnosis and management of IFIs. The speaker faculty comprised a panel of highly respected experts in the field of infectious disease and mycology from Asia as well as from the Netherlands and USA. The meeting successfully achieved a vast regional reach, with more than 100 participants from 10 Asian countries. 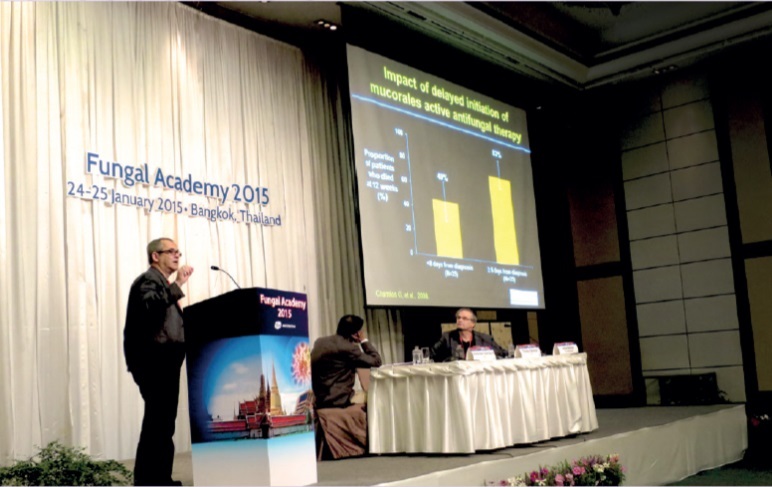 Fungal Academy 2015 had a comprehensive program that covered important aspects in the diagnosis and management of IFIs, including the trends and threats of fungal pathogens in the Asia Pacific, latest updates in the diagnosis of invasive aspergillosis, strengths and weaknesses of antifungal agents, clinical application of antifungal therapeutic drug monitoring, strategies in managing IFIs in high-risk patients, and integrated clinical pathways to individualize IFI management. Four members of the AFWG committee provided scientific inputs as speakers and facilitator to make the meeting a very engaging learning experience for all participants. Professor Arunaloke Chakrabarti (co-chairman, AFWG) chaired the Fungal Academy and opened the meeting with a lecture on ‘Know your enemy: Emerging threats of fungal infections in the Asia-Pacific region’. He described the challenging situation in the Asia-Pacific region, with increasing incidences of invasive candidiasis, invasive aspergillosis and mucormycosis, alarming rates of fungal rhinosinusitus and keratitis in agrarian countries as well as new and emerging pathogenic fungi and parafungi. Education and resources to improve the diagnosis and management of fungal infections are urgently needed to address some of the prevailing challenges in the region. Throughout the meeting, Professor Chakrabarti used his experience to encourage dynamism and facilitate interactive discussions between the speakers and the participants. Dr Tan Ban Hock (co-chairman, AFWG) gave a lecture to address the question, ‘Is there an ideal antifungal agent fulfilling patients’ needs?’ He reviewed the strengths and limitations of currently available antifungal treatment options, and discussed the considerations for treatment selection for different patients. Professor Yee-Chun Chen (committee member, AFWG) addressed the latest issues in fungal diagnosis in her talk, ‘How can we improve the diagnosis of invasive aspergillosis?’ She highlighted novel fungal biomarker assays that hold promises of supporting integrated diagnostic and treatment strategies for invasive aspergillosis. In an interactive workshop session, Dr Porpon Rotjanapan (committee member, AFWG) and Professor Johan Mouton facilitated spirited discussions and addressed the practical issues on how to apply antifungal therapeutic drug monitoring in clinical management to optimize treatment outcomes. 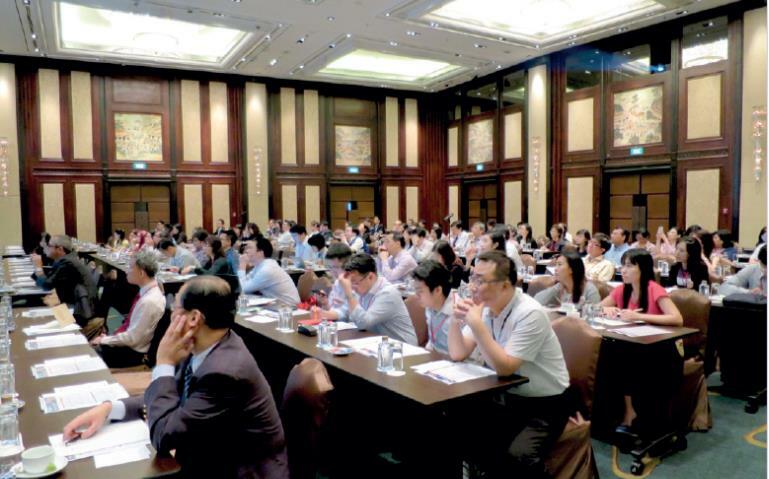 With a respected speaker faculty and comprehensive program, the Fungal Academy provided a valuable platform for knowledge updates and practical experience sharing for Asian doctors, making it a very successful and impactful event in the field of fungal infections.